I know you’re all thinking “where’s Melanie and who the crap is this chick?” No worries, Melanie will be back with something worth reading next week. Until then, here is my accidentally tragic tale of my time in the friend circle. It all started on move in day of my sophomore year. The entire dorm was downstairs getting the classic “don’t put nails in your wall and make sure you always lock your door” speech. The briefing was over and there he was, a Resident Assistant for another floor- tall, dark, and handsome. And there it was. The introduction. He walked directly towards me, smiled a big cheesy grin, and introduced himself. Naturally, I fumbled over my words, started sweating profusely, and almost forgot my name. “See you around, Amy!” He said. Oh yes, you will. The next few weeks were full of awkward run-ins as we were walking in and out of the building. One night at one of those dorm events where they give you mocktails and tell you not to drink, I was sitting in the corner with a couple of friends I drug along. The second I made eye contact with him, he made a beeline for me. I couldn’t escape if I wanted to. Why was he coming to talk to me again? He must think I’m cute, right?! Of course my friends were egging it on, giving him the friendly nickname of Borat. It all went down late one November night. I walked into my dorm, chocolate milk and doughnut in hand, and there he was sitting at the RA desk. I couldn’t make it to the elevator without Borat yelling my name and beckoning me over. “Oh, just Business Law” I said. Turns out, he was in the same class at a different time! “Let’s get a study group together sometime!” He said excitedly. “Maybe we’ll have some classes together next semester.” He sounded hopeful. He had to like me, right?! After a few minutes, the conversation shifted to food. Was he asking me out? What do I do? And that’s when it happened. He wrote his number down on a piece of paper and handed it to me, telling me to let him know and we could go sometime. Never mind the fact that my phone was very obviously in my hand and easily accessible; he gave me his phone number on a piece of paper. If that wasn’t the start of a courtship, I don’t know what is. I waited a little bit before sending the “Hey, it’s Amy haha.” text, anxious about the conversation that would ensue. We planned a time for our Stick Boy date a few days later. And then it came. The text that shattered all of my hopes and dreams. Invite your girlfriend? What girlfriend? On a date with the girl you just asked out? “Sure haha” was all I could say. Here I was, thinking I was going on date, only to find out that I was third wheeling with an RA and his girlfriend. Why was my life so tragic? The day came and we met in the lobby. No girlfriend in sight. Maybe she was meeting us there? After an awkward walk down the street , we finally arrived. Still no girlfriend and not even a mention. Where was she? Was she even real? Did he say that because he was afraid of the feelings he had for me? The “date” continued as we made our separate orders and walked back to the dorm to sit by the fireplace downstairs. Conversation centered around school, hobbies, and our hometowns. Not once did he mention his girlfriend. Was this a date or not? Why were we sitting by a fireplace drinking hot chocolate and talking about life? And then I found out. FRIEND CIRCLE?! No one has ever been more blatantly friend zoned. How do I respond to that? “You too!” as I put on my best fake smile. But the story doesn’t even end there. At the end of the interaction, I found myself agreeing to have lunch with Borat the following week. We met in the dining hall between classes and talked about our days. He told me about how he went to the Humane Society and even said “we should go together!” Sounds like a date to me. What was he doing? Was I in the friend circle or not? 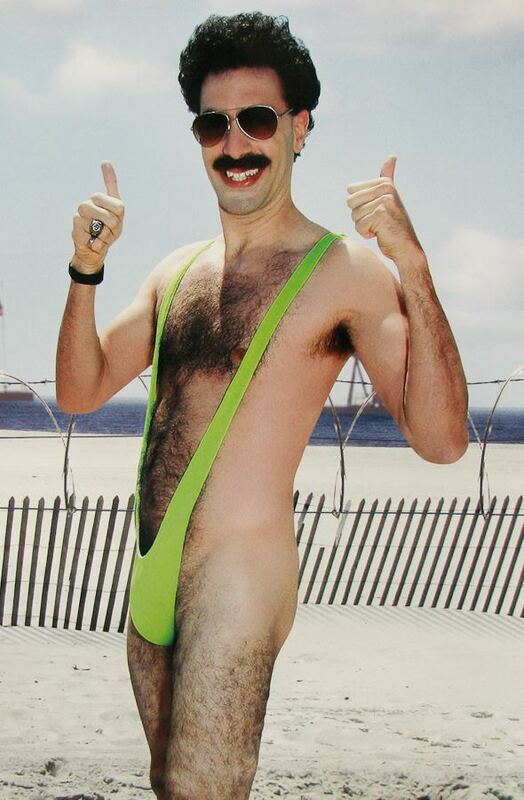 I was still holding onto hope and my friends were still supporting Borat and Amy. Instead, the story ends with me escaping the friend circle and falling off the radar with Borat. Thanks for sticking with me if you made it this far! Shoutout to Melanie for giving me a place to share my story without judgement and allowing me to shed light on the tragedy that is the friend circle. If you’re in the friend circle, remember that there is hope and that you too can live a full and happy life. Thank you, Amy, for contributing a beautiful story to the world of Accidentally Tragic. Amy now resides in Boone alone, doing training for her Fall internship. But seriously, since then she has found a boo thang who has stayed by her side for many months, and they are in l-u-v-e! Hooray for a happy ending! If you have a story you want to share, by name or anonymously, let me know. Join us on a path of laughter, pain, and low exposure every Thursday. Kudos again to Amy for tonight’s post!